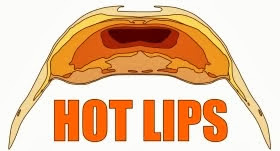 A human tendency is to make single or limited observations of behavior and then generalize. This is the foundation of many prejudices within our society. 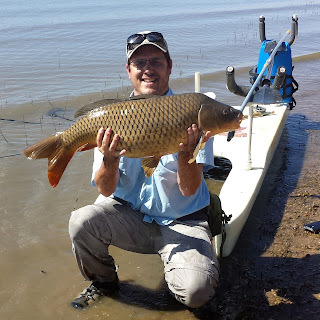 Fly fishing for carp is all about establishing patterns in fish behavior and then taking advantage of those patterns. When we generalize too much it hurts our ability to understand a complex portfolio of patterns. 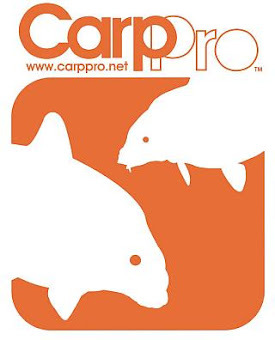 Carp have an incredible geographical range and tolerance for temperature, clarity, pollution etc. etc. 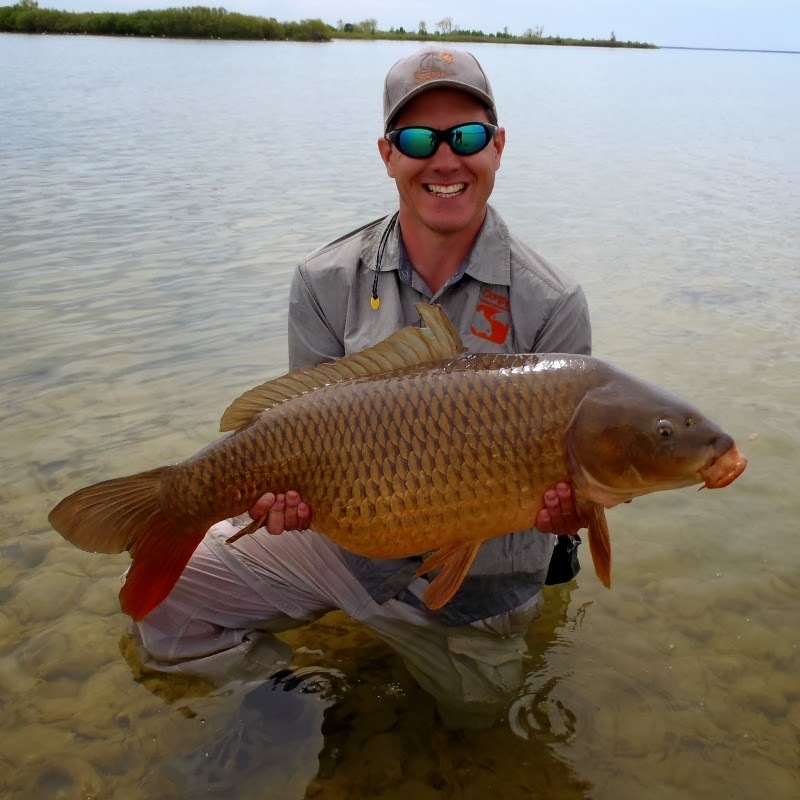 This reflects a high level of adaptivity and because of this the diversity of carp behavior may be the highest of all the North American fly targets. We need to diversify our pattern portfolio! 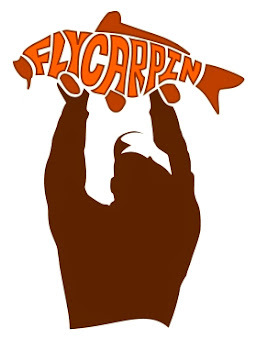 I recently read on the Internet that you must use 15 foot leaders for fly-carpin. I do not mean to pick on this author, similar statements are common and accurate based on limited patterns of behavior. What patterns? 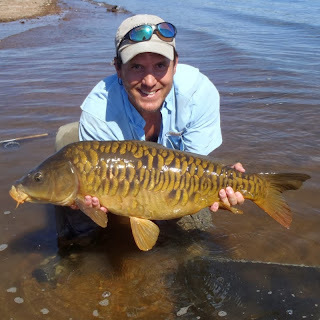 One possibility would be great lakes carp in ultra shallow, ultra clear water over gravel. Possibly fishing to aggressive fish allowing long casts with a stripped presentation but almost certainly spooky. This is an exciting, but far from universal pattern. A good example of a bizarre pattern is what I call Bank Fixated. These carp will be about 6" to a foot from a cut bank at a 90 degree angle in a still posture. They seem dead still but give an impression of alertness and a readiness to pounce. I have found them the most in the spring but also a couple of times in early summer. They are interesting because they defy some sometimes-accurate generalizations such as; "You can never or rarely catch a still carp", " You need a long leader and long accurate casts" and "Carp are extremely challenging on the fly". 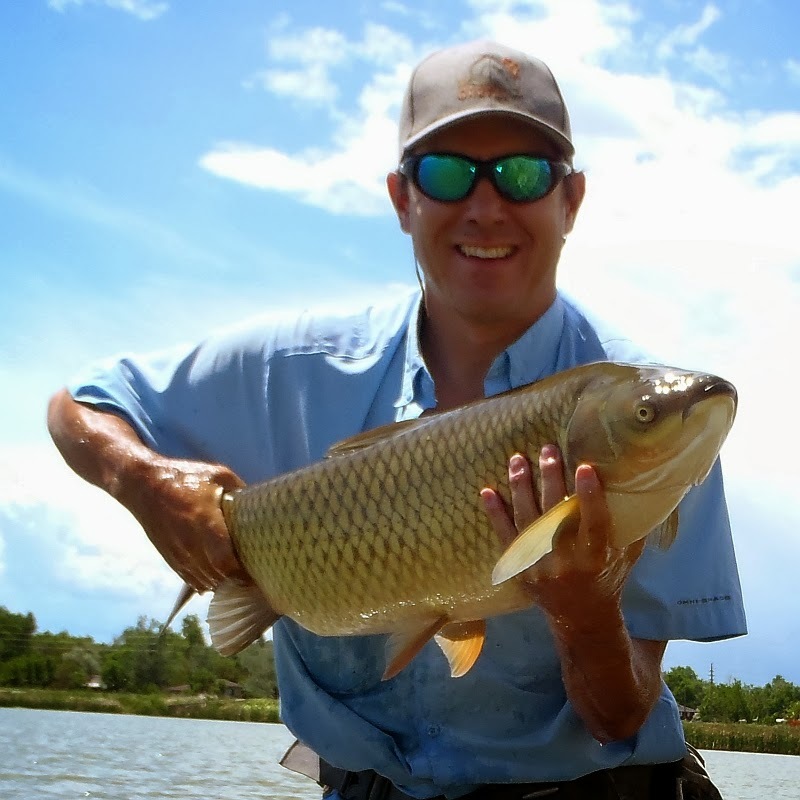 All you need to do is walk or waddle carefully to within 9' of the fish, strip in your line until there is only 6' leader available, reach out the tip of the fly-rod and gently dunk the fly between the fish and the bank. 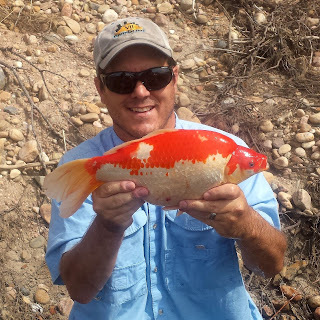 A true bank fixated fish will go from zero to sixty in nothing flat and hammer the fly before it hits bottom. Be sure and count one-one-thousand before setting the hook vertically or you will startle at the suddenness of the take and pull out early. These fish are dead still, but are actually in an EXTREMELY aggressive mood just waiting for something to fall off or wiggle out of the bank. I never have a 2 foot leader on my line but it would work and there is no cast. And finally there is nothing difficult about this pattern. Nothing at all. As a matter of fact it is so easy the only gratifying part is that you get to see such an aggressive take up close and in fine detail. So this spring if you happen upon such a pattern - diversify your portfolio.